Craft Pipe Cleaners Buying Guide: Knowing the difference. Pipe cleaners, chenille stems, craft sticks, chenille sticks or craft stems, whatever you call them, craft pipe cleaners are a traditional and widely used crafting medium. With so many creative applications and product variations, knowing which variety are right for your project can be hard. 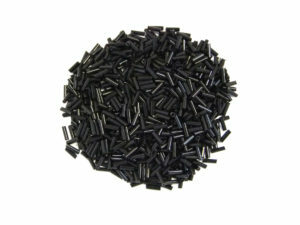 This is why we’ve written this simple guide, to selecting the best pipe cleaners for your requirements. As a starting point choose what matters the most to you: the material, shape, colour or quality. These attribute variations will dictate which part of the selection journey you start with, but for the purpose of this exercise, we’ve started with quality. Quality is not often an aspect that crafters would associate with pipe cleaners, they’re all the same right? Well that isn’t quite true and given our vast experience within the craft market, we know the tell-tail signs of a good craft pipe cleaner. Some craft companies without a focus on craft pipe cleaners often only provide cheap and low quality Chinese imports, so if you’re an adult crafter with a high quality, customised project in mind – stay away! There is a lot of crossover with these categories, for instance the chenille category contains our luxury pipe cleaners made from chenille, but it also includes children’s chenille pipe cleaners, which are lower in quality and price – perfect for those little hands. For bespoke and specialist projects we would always recommend going to our ‘Luxury’ section, unless you want cotton or tinsel/glitter pipe cleaners – in which case you are best off choosing their retrospective categories. Can there really be a difference in the quality of two different chenille pipecleaners? The simple answer to that is ‘yes!’. Cheap chenille pipe cleaners are the most widely available variety on the market and while they may be just fine for children’s crafts, they just don’t quite cut it for high end projects. The central wire of value pipe cleaners is often thin and flimsy and while they can be bent, they often struggle to hold enough rigidity after modelling and if bent several times may break. The quality of the yarn also differs, with a lot less fibres resulting in the wire showing through. The below picture demonstrates the difference in yarn covering, the bottom pipe cleaner being the lower quality one and the top one, manufactured by us in the UK. Crafters like Diane Crossland who we have discussed in our blog previously, would talk all day about the importance of quality pipe cleaners in her crafting and how the wire not showing and a thick yarn covering, are of vital importance. On the other hand our sales manager Karen Preston would tell you that when she’s buying pipe cleaners for her 3 year old daughter Lily, the price and colour are the only decision makers for her. Deciding which one of these two mind-sets you fall into, should sway your decision making. On our website look out for the logo to ensure you are buying the highest quality and if you’re buying for your children, we recommend any of the craft pipe cleaners without this logo. 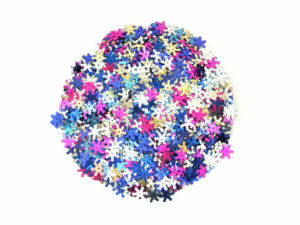 There are hundreds of colour combinations and variations of pipecleaners, and sometimes the choice can be dazzling. For a child’s project it’s likely you don’t have particular colours in mind and therefore you might choose an assorted pack. When it comes to more specialist and bespoke craft applications, the colour is a more important aspect and that’s why our ‘Cotton’, ‘Chenille’ and ‘Luxury’ range, come in a total of over 44 different colours. The assorted bright colours pictured below are generally more popular for children with the exception of seasonal craft times, where a parent might buy brown pipe cleaners for Rudolph’s antlers, or green and yellow pipe cleaners for making flowers in the Spring/Summer. For these reasons we provide all of the primary colours within our children’s section, as well as other key colours that are popular during seasonal demands. 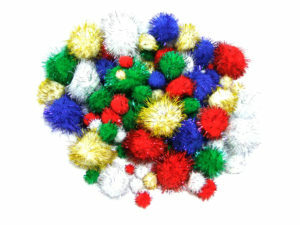 Chenille, Cotton or Tinsel Craft Pipe Cleaners? You’re likely to know if you want a tinsel pipe cleaner because they are glittery and sparkly, ideal for a lot of Christmas time and specialist projects. However when it comes to more standard colours and materials (cotton and chenille), the choice can be more confusing and the differences can often be skewed by the vast choice. Below both a cotton and chenille stem are pictured, the top pipe cleaner is a cotton stem and the bottom one, a chenille stem. Notice that the cotton stem has a fluffier and varied finish, as opposed to the chenille stem which has a more consistent and thick furriness, but is less fluffy. Our cotton pipe cleaners are generally available in a smaller width (mainly 3mm) than our chenille equivalents, which are available in 4mm, 6mm, 9mm or 12mm (all pictured below). To understand the attribute differences of cotton and chenille craft pipe cleaners, below are two different projects. The craft application on the left uses black cotton pipe cleaners for the face and hooves of the sheep, the cotton is ideal because it is thin and has a light fluffiness, as opposed to a fur like finish. The craft project on the right uses a chenille pipe cleaner for the entirety of the project, this is because the chenille pipe cleaners are available in a thicker fur like finish, ideal to achieve a realistic bear or animal look. Bump or Straight Chenille Craft Pipe Cleaners? The application of these two chenille stems are different, and while some projects may be ideal for bump chenille craft pipe cleaners, they may not be ideal for a straight pipecleaner. Below is a craft application using the bump chenille pipe cleaners, notice that the bump allows the chenille stem to bend around, fully covering the wide surface in the middle of a polystyrene ball, whilst the narrower tapered section is used for the top and bottom and also the tapered tentacles. The very characteristic of this pipe cleaner makes this design possible, as straight pipe cleaners would not give the same effect. Now that we’ve educated you on the joys of the pipe cleaner world, we hope that you are now more equip to select the right pipecleaner for the task at hand. If you are still a little confused by the various available product attributes, please give us a call on 01484 435055. We’ve been manufacturing all varieties of pipe cleaners in our Huddersfield factory since 1922, so we are well placed to advise you.